1, If you need other sizes we don't have in stock. We can customize for you. 2, But the MOQ will be 120pcs, not 1pc. 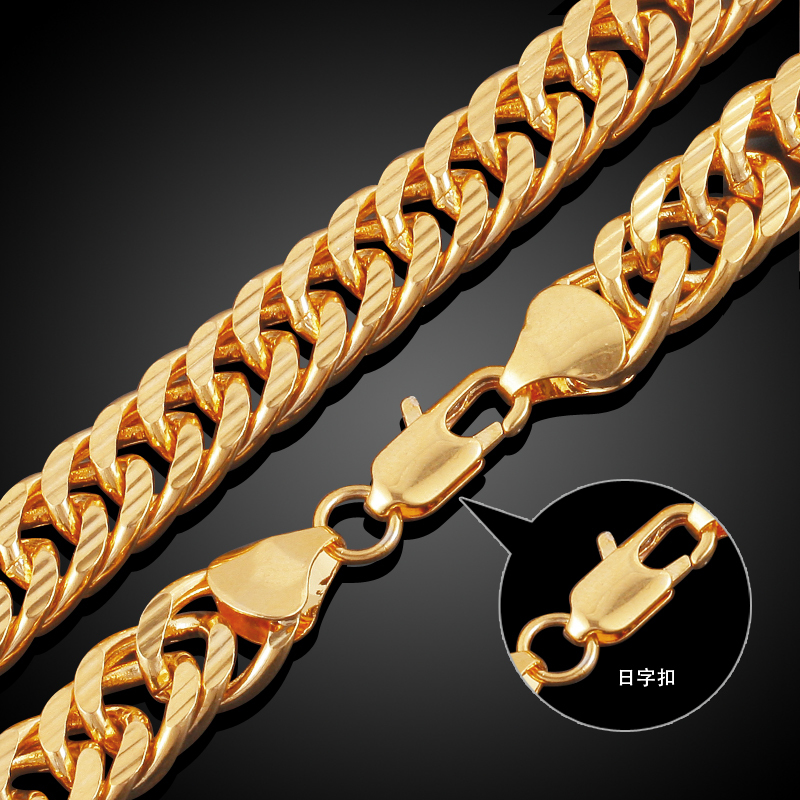 3, You can contact our customer service about the size details. 4, We'll be very glad at your service. Q How long can it color retention time? Q Is it allergic when wearing? A We use eco-friendly material. 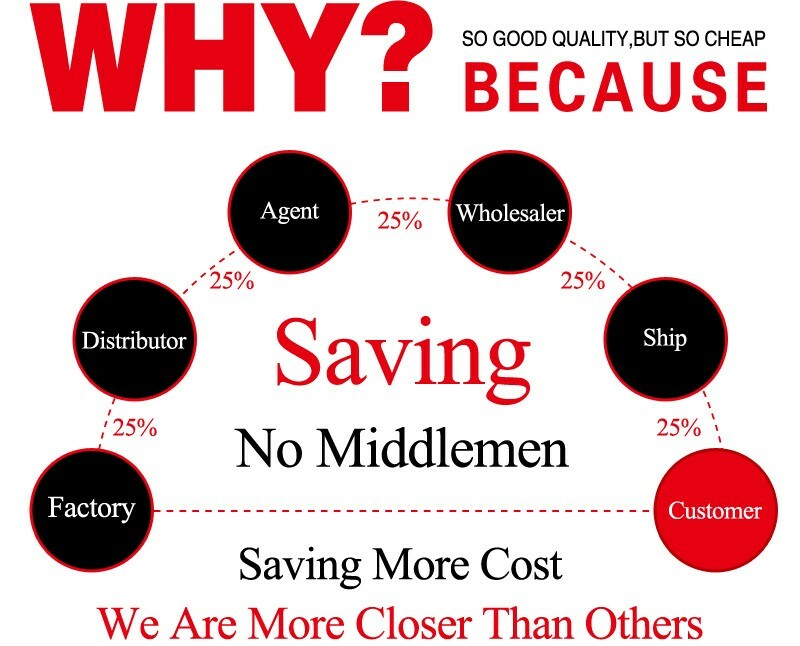 Q Why is your products'price low but good quality? 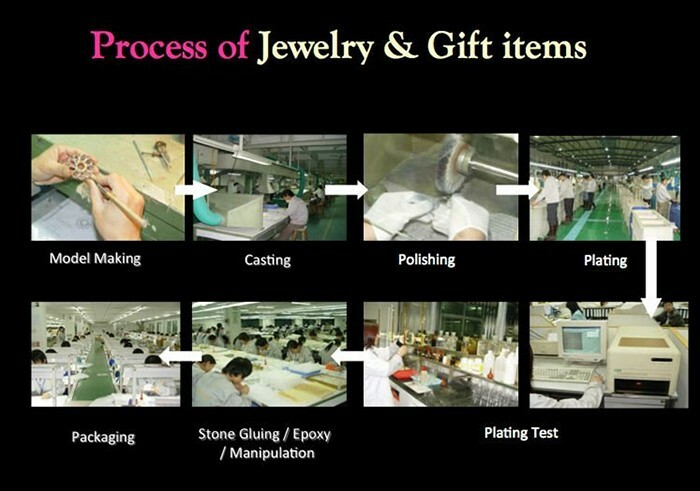 A We have our own factory,have many strict producing process including polishing ,18K gold vacuum plated and QC etc. Q Can I add or delete items from my order if I change my mind? A Yes,but you need to tell us asap. 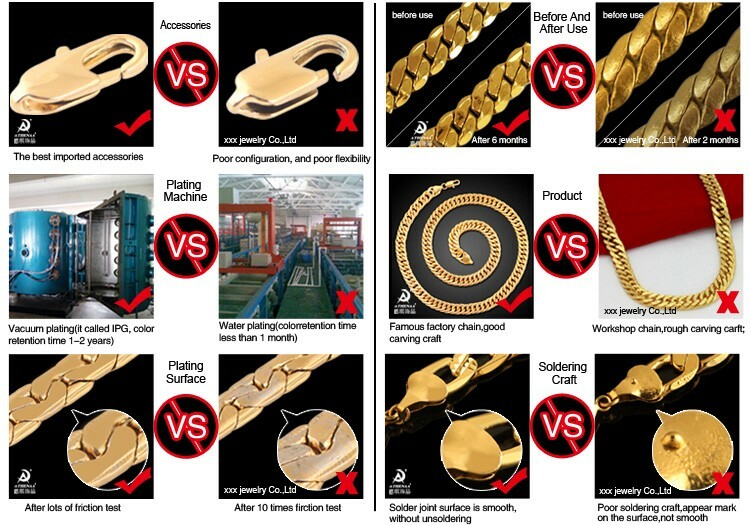 If your order has been done in our production line, we can't change.It's about two days after confirm the order. Q Can I get sample and how long will it take? A Yes,of course. it's about 7 days to send it out after receiving the sample fee and courier from buyers. A Yes, we have stable products in stock. Q Can I have my own customized product? A Yes.your customized requirements for size,color,logo,design,package,carton mark,your language anual etc.are very elcome. Q What's the delivery time? 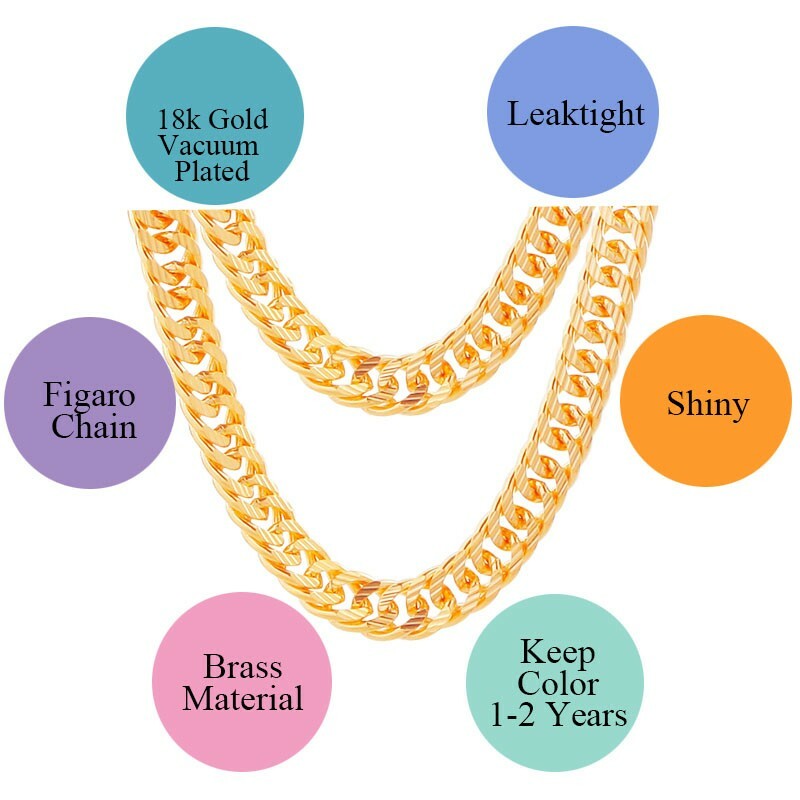 A 1,We have in stock:we can ship to you soon after receiving your payment. 2,We need produce:Normally about 25days after receiving your payment,but it can be negotiated based on order qty and roduction schedule. Q Can I pay by paypal? A Yes,but I advice you to use Trade Assurance to pay firstly. It's more safety for buyers. 1,We usually ship to you by DHL ,UPS or TNT. you'll receive the package soon. 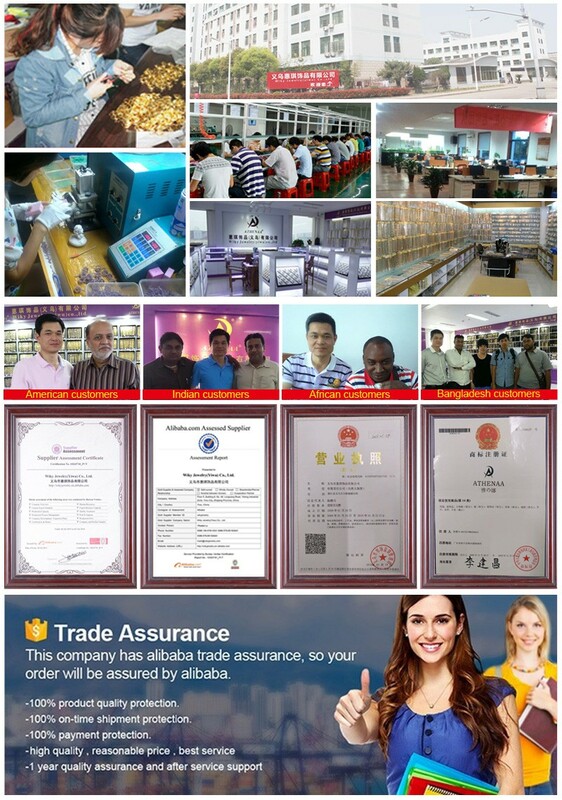 2,We are Trading company and manufacturer, we also have our own shop. So the stock flows every time and it's common that we selled out the stock sometimes. But you don't worry about it,our customer service will inform you of that and try to make up the quantity you need in short time. 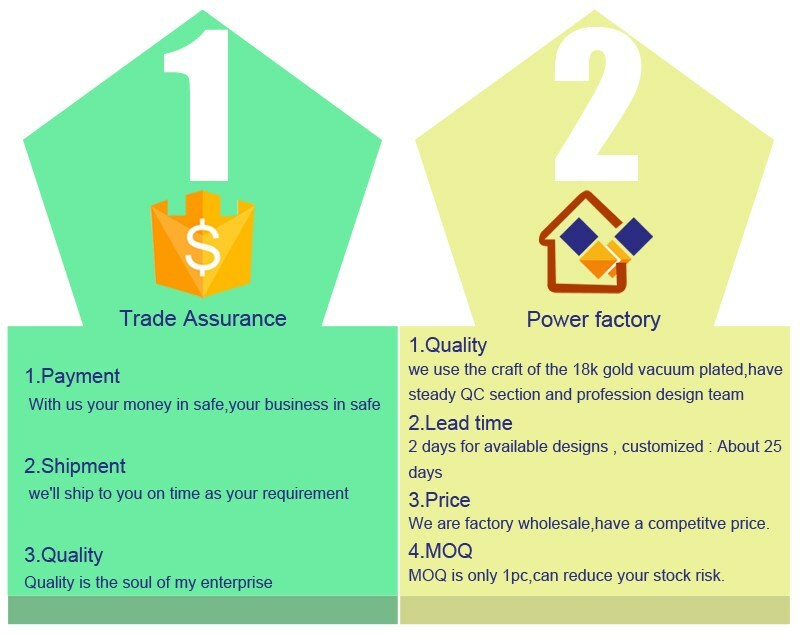 3,When we ship the package to you, we will print a invoice about your order and have our company's seal on the papers. 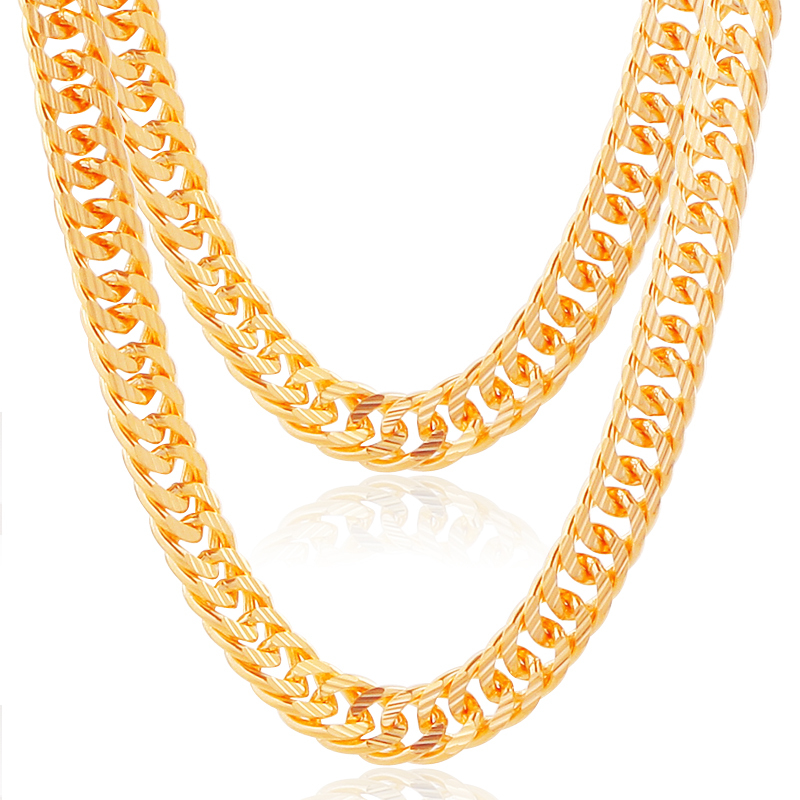 4,Our company have team of producing and designing. OEM and ODM can be welcomed. 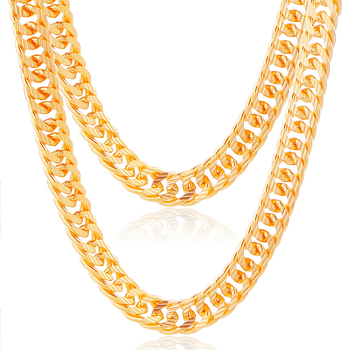 Any related problems about gold plated brass jewelry,pls consult our customer service,we'll try to find the answer and tell you. Why not just click"Send" inquiry now!